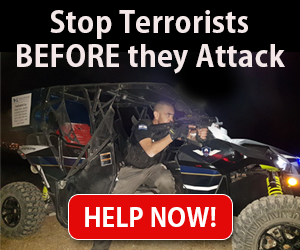 Tell the Arab MKs to stop targeting the State of Israel and finally do their job representing their constituents. Members of Knesset from the Joint Arab List are partnering with Palestinian officials and drafting a United Nations resolution condemning Israel’s recent passage of the Nation-State Law, which they falsely claim makes non-Jewish Israelis second-class citizens. The law defines Israel as the Jewish state by law and enshrines its unique character while affording equal rights to all citizens of diverse faiths. Palestinian factions are reportedly taking this move against Israel a step further by requesting Israel’s expulsion from the UN. This is far from the first time that members of the Joint Arab List have taken action against the state of Israel. MK Hanin Zoabi has called IDF soldiers murderers, and MK Ahmed Tibi has said he misses late arch-terrorist Yasser Arafat, who dedicated his life to fighting Israel. In 2016, MK Jamal Zahalka called on Palestinians to prevent Jews from visiting the Temple Mount holy site “in any way possible.” He and two colleagues – Zoabi and Basel Ghattas – were suspended from the Knesset for visiting and honoring the families of Palestinian terrorists who attacked and murdered Israelis. Ghattas was arrested and sent to prison in 2017 after being caught providing convicted Palestinian terrorists in the Ketziot prison with cell phones and SIM cards. Former MK Azmi Bashara fled Israel in 2007 after being charged with spying for the Hezbollah terror organization. Israeli Tourism Minister Yariv Levin said that there is no way to define this latest act by the Joint List MKs other than to call it treason. “Those who cooperate with the Palestinian Authority against Israel should ask themselves whether their place is in the Palestinian or Israeli parliament,” he said. While these Arab lawmakers operate vigorously against Israel, they do nothing for their constituents. In 2015, Member of Knesset (MK) Ayoub Kara, a member of Israel’s Druze minority, called on Arab parliamentarians from the Joint Arab List to stop attacks on Israel and focus on their duties to their public. “All of these assaults, and saying they’re representing Palestine and Gaza, it is not giving them anything,” he said. It is time that the Arab MKs take their hands off Israel and finally do their job – represent their public. The Arab sector in Israel faces many challenges and could sure use the help of their elected officials. We must call on Arab MKs to stay away from harming Israel and focus on their real job – aiding their constituency. Call on Arab MKs to do Their Job, Leave the Jewish State Alone! 1. Click Here to send the Joint Arab List a message via Facebook. 2. Click Here to send Joint Arab List head Ayman Odeh a message via Facebook. 3. Click Here to send Joint Arab List head Ayman Odeh a message via Twitter. Send the Joint Arab List a message!